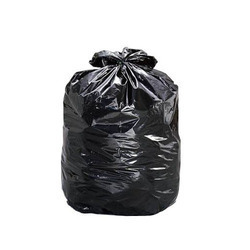 We are engaged in providing Garbage Bags that are extensively used in collecting garbage. 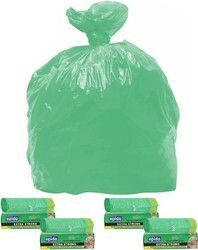 Made from quality raw material, these bags are fully safe in carrying & disposing off the waste material. The bags can be customized as per the specifications of the customer. Plastic and Biodegradable Corn Starch.100% Eco friendly. Compared to the traditional plastic, save over 75% petrochemical resource. Compared to the traditional plastic ,it can reduce over 60% co2 emission. No phthalate, no bisphenol A, non-toxic and pollution-free. Have mechanical prooerties,can applied to general plastic processing facilities for various modding processing.